Home > Marketing > How do I use Google Analytics? Q.How do I use Google Analytics? To get started, you need a Google account. If you don't already have one, register here. You may wish to create a separate Google account for your business. 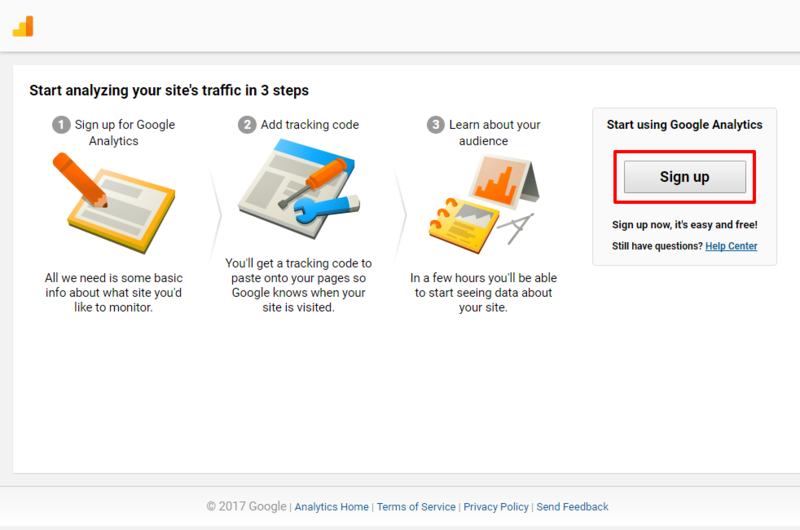 Once you have your account, log in and navigate to the Google Analytics main page. Click Sign Up. Enter information in the next window as follows. See the image below for an example. Account Name Enter your desired Google Analytics account name here. This does not need to match your Ochanoko username. Website Name Enter the name of your webstore here. Website URL Enter your website URL here, and select https://. (Select http:// if global HTTPS settings are not enabled for your store.) Please ensure that you do not put a slash / at the end of the URL. Industry Category Select the category that best fits your business. Reporting Time Zone Select the time zone in which you wish to view your analytics data. Click Get Tracking ID. On the popup window, select your country of residence. Read the Google Analytics Terms of Service Agreement and click Accept. Copy this, and open your Shop Manager. Navigate to Marketing → Access analysis. 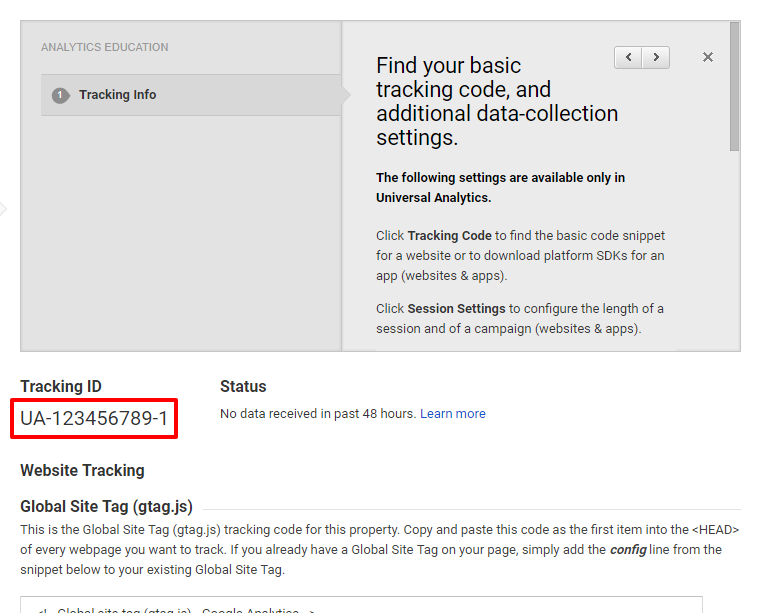 There is a field on this page for Google Analytics tracking ID. Enter your tracking ID here as below. Press (Save). 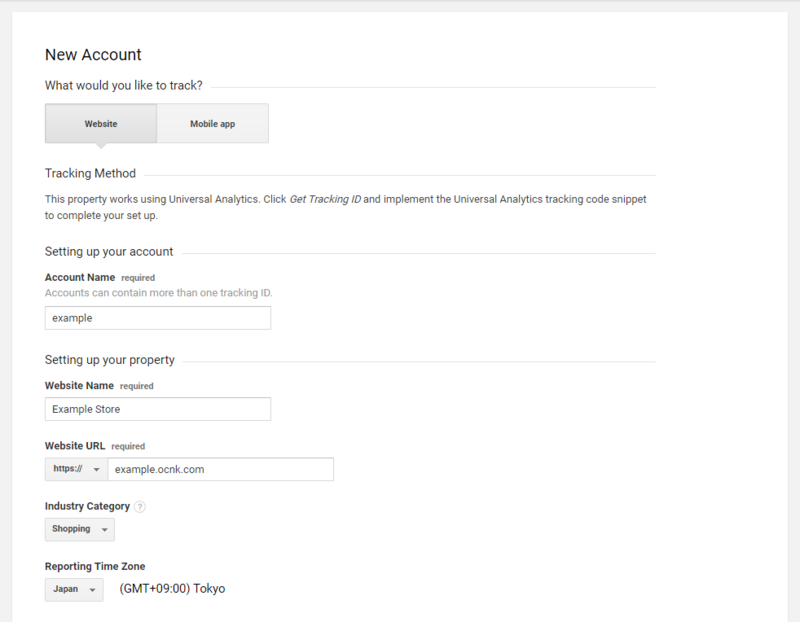 Google Analytics is now set up with your webstore.